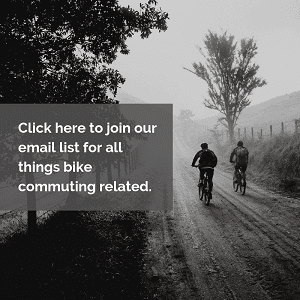 We are huge proponents for riding your bike to work. In fact, we’re such big fanatics that we created this entire website to get people out of their cars and onto their bikes. We really believe that you will be happier and healthier if you spent less time driving (or riding public transportation) and more time pedaling to work. We are bike commuting evangelists, and have shared with friends and family about our devotion to bike commuting. Imagine sharing with someone you just met that you bike to work everyday. Most of the time people are surprised and may even say that they are envious, but that they couldn’t ever do the same. It’s at this point in the conversation where the individual gives their excuse for why they couldn’t ever possibly commute to work by bike. 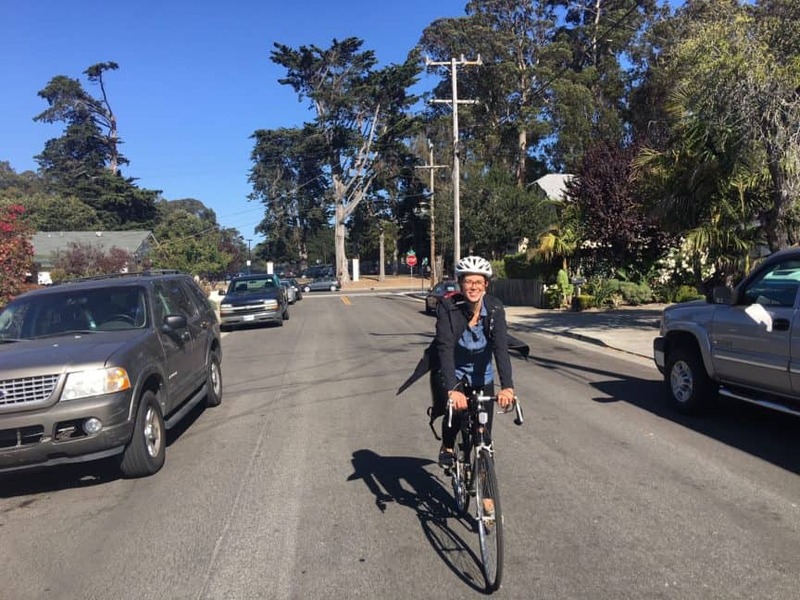 We have heard many reasons and excuses on why it is impossible for others to bike commute, and so we have chronicled some of our favorites. Have you heard any of these excuses? or maybe you’ve used one or two of these yourself? Here is our list of 13 excuses to not ride your bike to work. Work is very far away, and you know that all that pedaling will exhaust you! Waking up is difficult enough, and the physical exertion of riding your bike 6 miles will put you over the edge. Nothing would be worse than showing up to work all tuckered out. Truthfully, this excuse could only be used for the chronically fatigued or those who would need to bike miles upon miles to get to work. Exercising helps make you mentally alert and hear us out – exercise can give you more energy! A bike commute could actually give you the right amount of energy and alert to get work. I’m not in shape and fit. Bike commuting isn’t only for the athletic and ultra-fit. I really believe that this can be done by most people. I lived in Amsterdam for over two months and was shocked by the number of cyclists around town. Everyone was riding, and I mean everyone. I saw people of all shapes and sizes (once i even saw a pregnant lady riding her bike). Don’t let your fitness level be the reason that you don’t ride your bike. One of the great things about riding to work is that over time you’ll get in shape and feel better about yourself. Grab your bicycle and start riding! You won’t regret it. Heaven forbid that you have to wake up 20 minutes earlier than normal to get ready to ride your bike. The worst thing in the world is having to get out of bed early. Why ride when I can sleep a little more? We can give you a few reasons. You will feel better. You are saving money. The planet will thank you for not using a carbon emitting vehicle. These are good reasons to get out of bed. I will only drive to work if I have the best and newest vehicle on the market. If it’s not the fastest BMW from the lot there is no way that I will even sit in the seat. Most of the time, this is the logic that is used to justify not commuting to work by bike. You have a bike, and it works great, but for whatever reason you feel like the only way you can take a bike to work is if you have the latest and greatest. Unless your current bike doesn’t fit you or is a complete junker it should be fine. Most bicycles that are comfortable and fit you will work for a bike commute. Don’t let your average bicycle be the reason to not drive to work. No where to store my bike! I would love to, but unfortunately there is no where to store my bike. Where will I keep my trusty steed while I am working away at the desk? My answer is always the same – have you heard of a bike lock? Is there a pole nearby that you can chain your bike to? You could also talk with your boss. 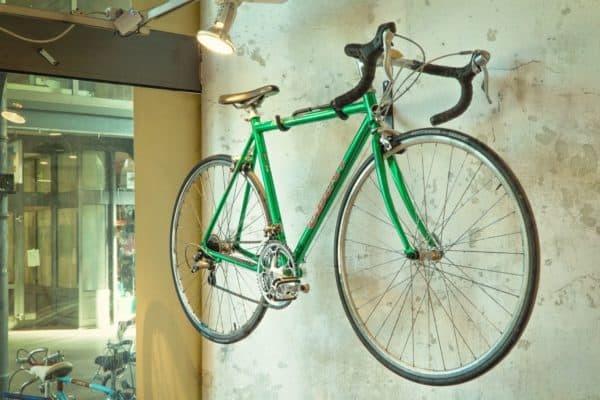 Many offices have a space that you can store your bike while you work as long as you get permission from the head honcho. Thank God for cars! Without them we would be known as the messy haired nation! Immaculate hair from sunrise to sundown seems to be a priority for many, and a bike helmet goes against this important value in their life. Here’s our fix – bring a comb or brush to work. When you show up to work after your refreshing bike commute walk into the bathroom and restyle your hair! Presto! Believe it or not, bike commuters can look good too. This could be a legitimate excuse, but is it for you? Depending on your commute it can actually be faster to take a bicycle compared to driving a personal vehicle. It could also be that riding your bike will only take a little more time than driving your car. Why don’t you give the commute a test before you make this claim? Unless of course you live 50 miles from your employer in which case this is the perfect excuse. Unless you literally don’t know how to ride a bicycle than you are not allowed to use this one. This is by far one of the most used excuses in the book, and frankly, I get it. My current bike commute will add a slight sheen to my skin as I sweat just a tiny bit. Fortunately, it’s such a small sweat that it is gone within minutes and doesn’t soak my clothes. For others – they know that this kind of exercise will open the flood gates of sweat and they really can’t be working all sweaty. But we hope this won’t deter you from riding your bike to work. There are many options! Does your work have a shower you can use? Do you need to shower? Could you just bring a fresh pair of clothes? Many bike commuters have a small towel and deodorant at work. When they arrive they go into the bathroom to change into fresh clothes, wipe sweat with the towel, and apply deodorant. An easy way to dealing with sweat and feeling fresh at work. Here’s a helpful post we wrote to looking and smelling good after a bike commute. Don’t worry about it. There’s no shame in having to walk the bike up a hill. For those of you who have to leave at an hour that is still dark this is a valid concern. Fortunately this is not a deal breaker as there are ways to help make you more visible for motorists. You can purchase bright red blinking lights to put on your helmet, bike, or clothes. You can find these inexpensive and bright lights on amazon. Another option is to wear bright reflective clothing to ensure that motorists see you. If it is dark enough that you are having a difficult time seeing we would recommend that you install a headlight on your bike. You can get lights that are bright enough to not only make you more visible to motorists, but also give you the visibility to see where you are riding. Laptop. Books. Jacket. We all have stuff we need to bring to work or back home. Unless you’ve got a large item there are ways of transporting items by bike. Outfit your bike with panniers so that you can bring things with you. If you don’t want to install or purchase bags on your bike you could also choose to wear a backpack. Personally I find the panniers to be the best option as a backpack can cause your back to sweat more. All this to say it’s easy to bring stuff with you on a bike. We think you would. Believe it or not, bike rides are fun! It’s good exercise and is nice to be outdoors. I can’t think of anyone I know who has tried bike commuting and responded with “I hate this.” Our encouragement is to give it a try. If you try it once and absolutely dislike it than you can use the excuse “I didn’t like it” but it is worth at least trying. 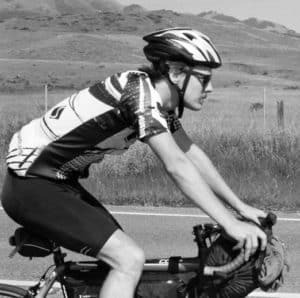 There are hundreds of excuses you can make to not ride your bike, and most people want to take the path of least resistance. 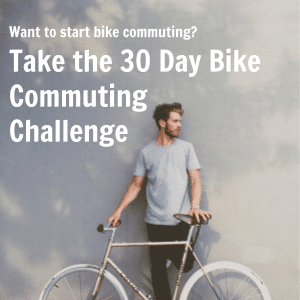 A car ride will always be easier than a bike ride, but we know that once you get hooked on a bike commute you’ll be glad you made the change. These are 13 excuses to not ride your bike to work. Have you used any of these or heard them yourself? Stop making excuses and get on your bike! Enjoy the ride.